eReader1: Can you read this? You might have seen these little games floating around Facebook and other social media. Did you make it through to the end? How did you do? I found it fascinating that I could fly through that. I think that one was a little trickier! 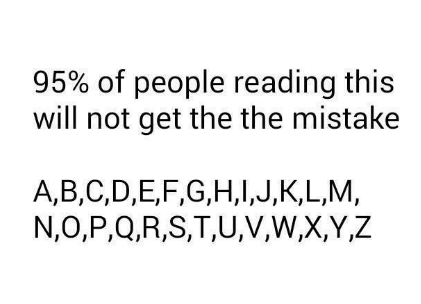 I share these because I think they are powerful ways to demonstrate the need for an author to have an independent and thorough proofreader. 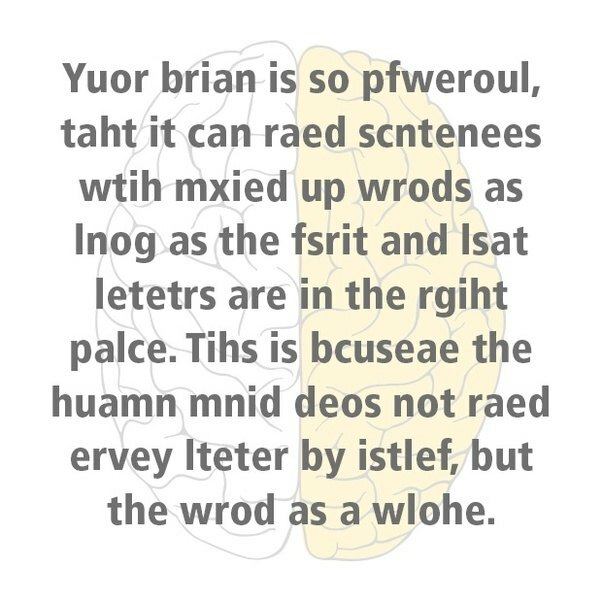 Both of these examples are vastly different to one another, yet both show how easy it can be for your brain to slide by misspellings and mistakes because it can make a good assumption about what should be on the page. This is why, I believe, writers really cannot easily proofread their own work, no matter how well-educated or well-read. 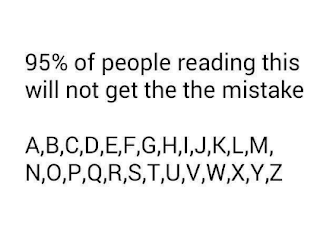 Not only do they have the abilty to skip mistakes, as the examples above show, writers are also at the disadvantage of knowing what the sentence is supposed to say, and therefore the brain can insert what should be there and remove what should not. Proofreading is not really about 'enjoying reading' -- though good reading skills are very important. Proofing is about painstakingly reading, re-reading, and re-reading a sentence again to spot the errors. Out loud, if necessary. That's how I spotted the mistake in example number 2, above. 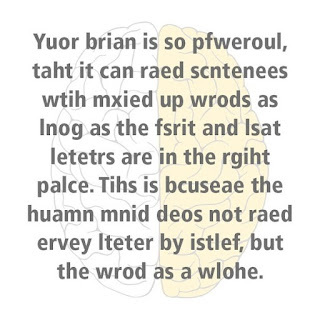 Read it out loud, or have it read to you, and the mistakes jump out at you. If you still don't trust yourself -- and honestly, you probably shouldn't -- then do yourself a favor and find a proofreader. A trusted friend or a professional, either way there are people out there to help. And if you pick a friend and they do a good job, treat them to a gift card or something for their trouble. They might well know you are a starving artist and that you asked them because you couldn't splurge on a pro, but a little 'thank you' treat goes a long way. For details of my proofreading service and my affordable prices, visit http://www.ereader1.net/p/proofreading-service.html or use the contact form to send me a message.